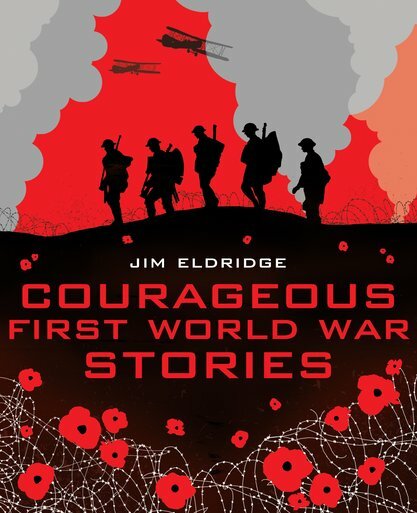 Courageous First World War Stories is a collection of three wartime adventures that will transport the reader to the heart of the First World War by land, sea and air. In ‘The Trenches’, Billy Stevens, a telegraph operator, finds himself part of the deadly Battle of Passchendaele. ‘Standing Alone’ tells the true story of Jack Cornwell, the sixteen-year-old hero of the last great naval battle of WW1. ‘Flying Ace’ takes us into the skies where Jack Fairfax of the Royal Flying Corps finds himself under attack. Riveting fictionalized accounts, packed with historical detail, give a new immediacy to the First World War that will enthral young readers.